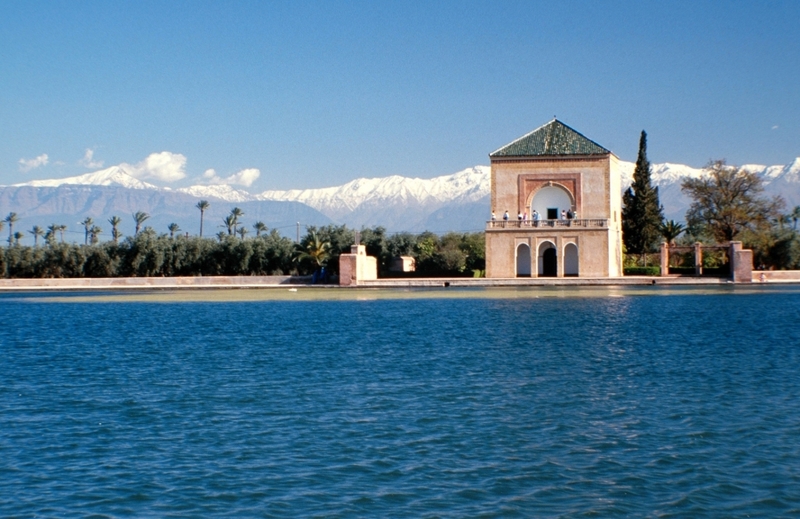 Tour : Marrakech, Zagora, Merzouga - 4 Days : Tours And Excursions Organization, Travel to Morocco, Morocco Tour, Morocco Mountain Guide. 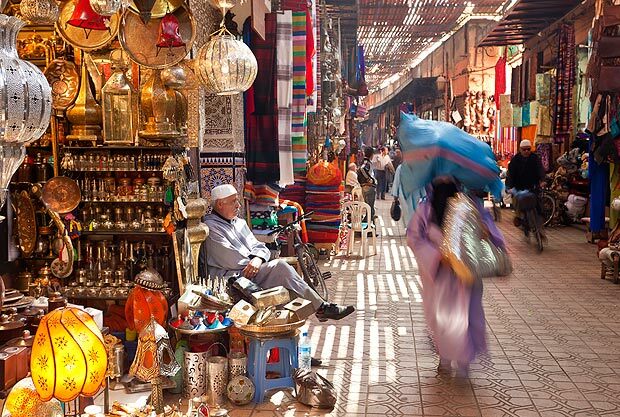 1 Day : Marrakech, Zagoura. We will leave Marrakech at 7 AM, cross the Tichka pass (high Atlas), Ait benhaddou and its beautiful Kasbahs, Ouarzazate, the valley of Draa and its oases, before we find Zagora, a 30 min trip on the backs of camels at the sunset to where the nomad tents will be installed in the middle of dunes where we will have diner. 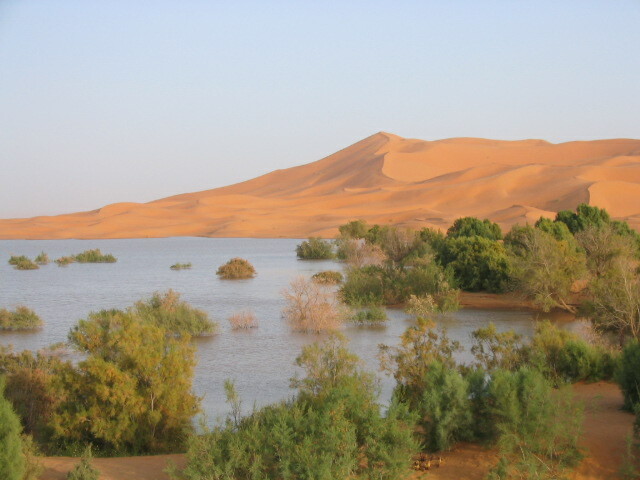 2 Day : Zagora, Merzouga. 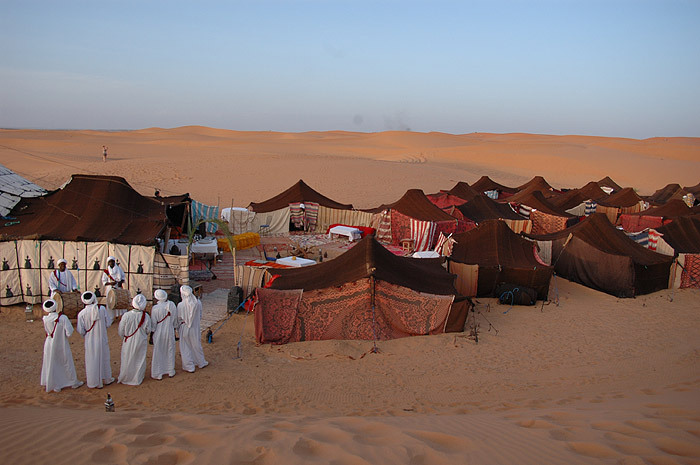 3 Day : Merzouga, Gorges du Dades. 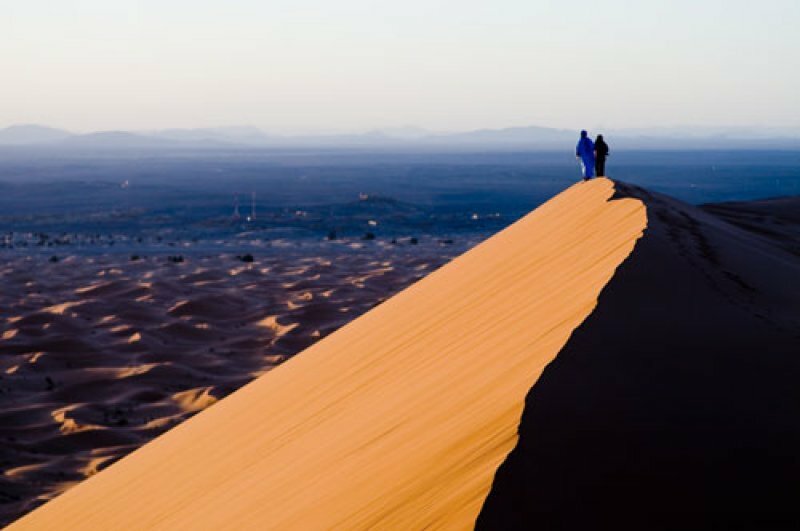 No matter how many times you have seen it, the sunrise in the desert is always a marvelous thing to watch, especially in the golden dunes of Merzouga. 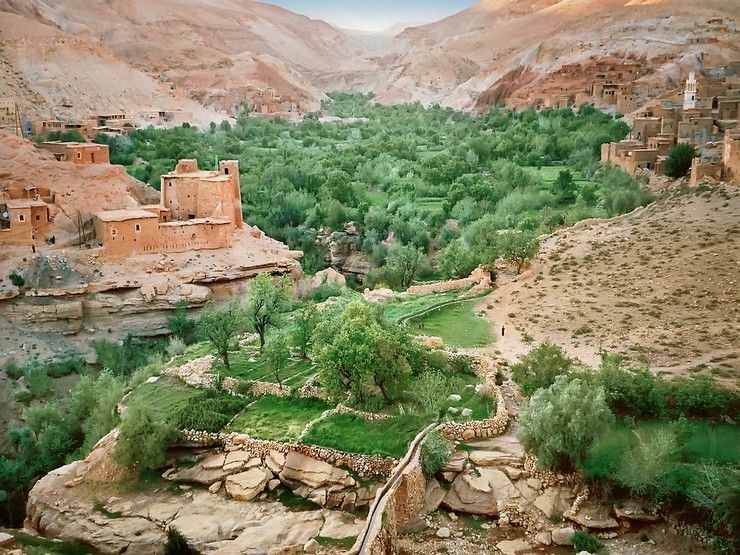 After breakfast, we will leave to Toudra gorges crossing the Toudra palm grove where will pause for a mint tea break before we continue our journey to the Dades gorges where we will spend the night in a hotel. 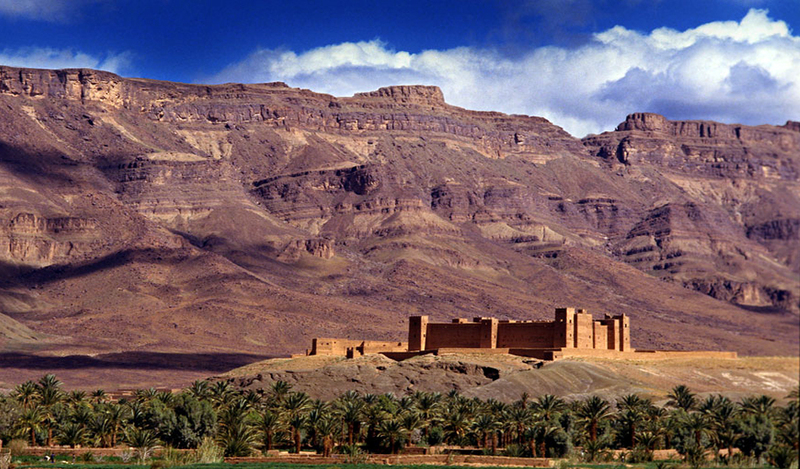 4 Day : Gorges Dades, Marrakech. 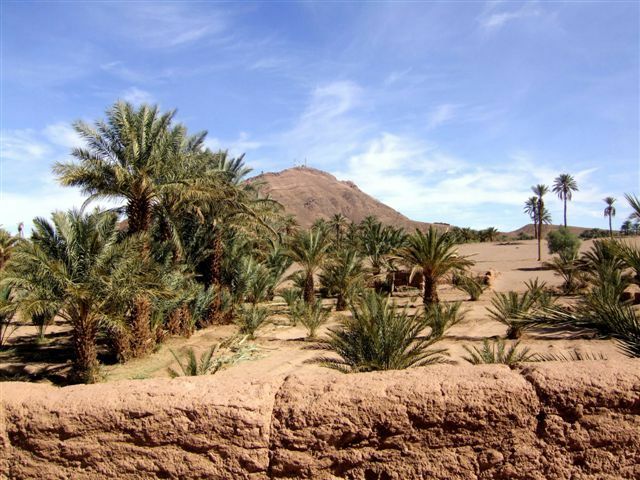 After a nice night rest and a good breakfast, we will leave for Marrakech and enjoy the beautiful scenery of the road, crossing the valley of roses and kasbahs, the Skoura palm grove, Ouarzazate, and then Taourirt and its Kasbah. The Marked with (*) fields are Required..